Today Project CHANGE had a special training and Re-Union all rolled into one. The occasion was to reflect on the last few months of service and what comes next. Founder Judy Lapping ran the team through the process of using….. LOOKING FOR INSPIRED VOLUNTEERS Project CHANGE Montgomery is looking for the most talented and inspired volunteers, young or old, to apply to join the team for the 2018-2019 service year. We have some exciting new partners where members will serve…..
WHO WE ARE AmeriCorps, often called America’s “Domestic Peace Corps,” was founded in 1993 by President Clinton. 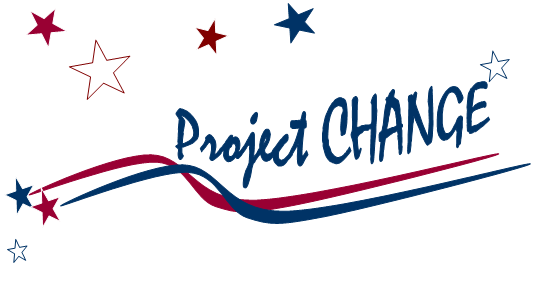 Each year, federal funds administered by the Corporation for National and Community Service (CNCS) are given to Maryland and distributed through the State’s…..
We are delighted to introduce our newest participants for Project Change. These young men and women represent a diverse reflection of our state and aspire to give something back to the young people of Maryland. Jenny Mendez -Guerrero at MHP…..
We offer our members a training program every other Friday that teaches a variety of skills such as financial management, meditation, storytelling and more! We offer our members a scholarship to a community college or university after completing a year of service with us. Some colleges and universities match the awards received from AmeriCorps and you have up to 7 years to use it. We offer our members health insurance to help our members with medical issues that come up during their year of service. We always hear from members that AmeriCorps gave them an opportunity to explore what careers in the Education field they would like to have. Let us do the same for you. Come explore your interests with Project CHANGE Montgomery! Paul Costello is the director of the Center for Narrative Studies (www.storywise.com) and a pioneer in narrative theory and practice, having studied with Michael White, the father of narrative therapy. In addition to writing and teaching, Paul directed the Washington-Ireland Program from 1998-2008. Upon her graduation from Simmons College in 1967, Judy Lapping began her teaching career in Montgomery County Public Schools. After receiving her master’s degree at the American University, she expanded her educational career by becoming a counselor, assistant principal and principal. Dr. Robert Anastasi has more than three decades of supervisory and management experience as an elementary school principal, program administrator and teacher. He has experience in leading both the Maryland and Montgomery County, Maryland Business Round Tables for Education, and has served as President of the Maryland Association of Elementary School Administrators.